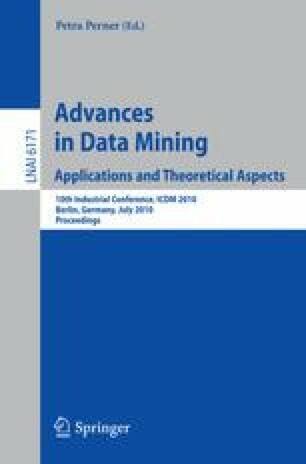 An approach to image mining is described that combines a histogram based representation with a time series analysis technique. More specifically a Dynamic Time Warping (DTW) approach is applied to histogram represented image sets that have been enhanced using CLAHE and noise removal. The focus of the work is the screening (classification) of retinal image sets to identify age-related macular degeneration (AMD). Results are reported from experiments conducted to compare different image enhancement techniques, combination of two different histograms for image classification, and different histogram based approaches. The experiments demonstrated that: the image enhancement techniques produce improved results, the usage of two histograms improved the classifier performance, and that the proposed DTW procedure out-performs other histogram based techniques in terms of classification accuracy.